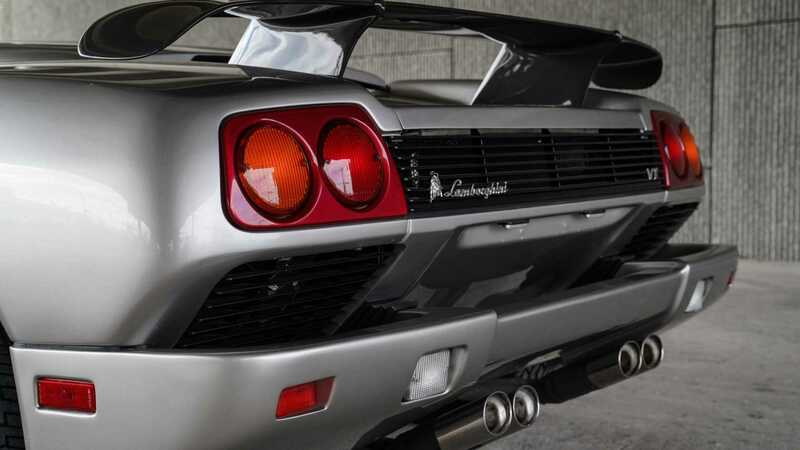 The turn of the millennium marked a sea change for the world of supercars with fire breathing monsters being replaced with, still exciting but far more manageable, ‘everyday usable’ models. 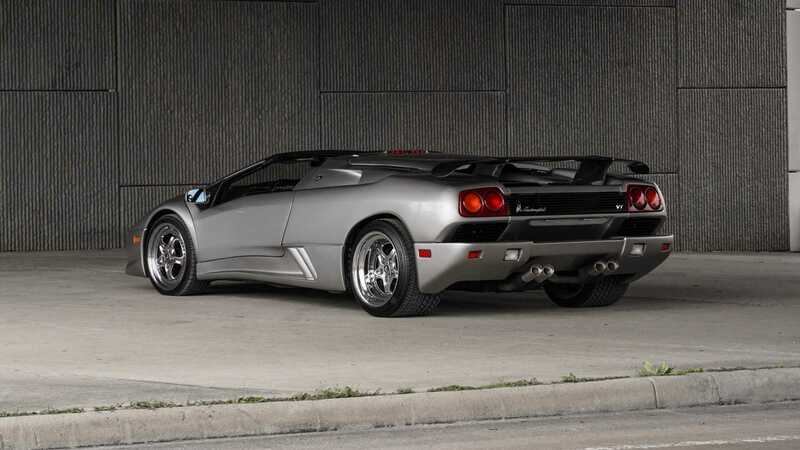 Lamborghini’s Diablo was replaced in 2001 by the Murcielago, but not before the Italian marque celebrated the year 2000. 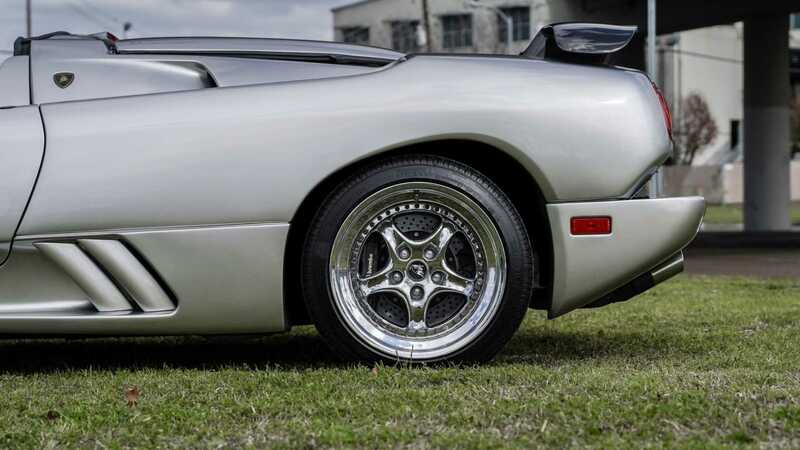 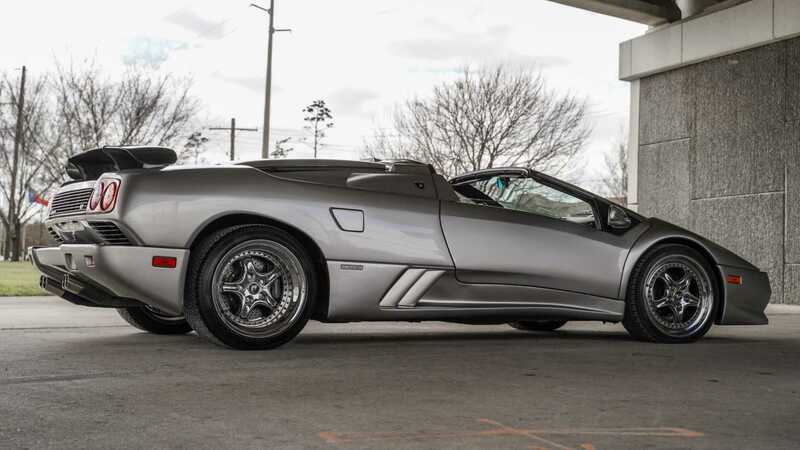 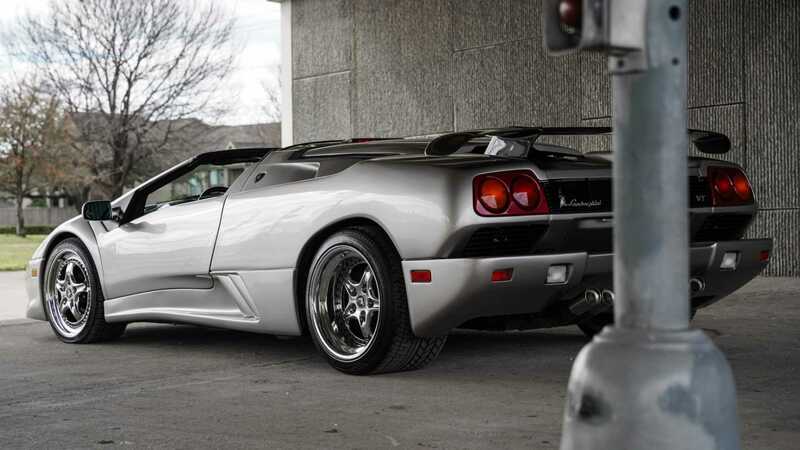 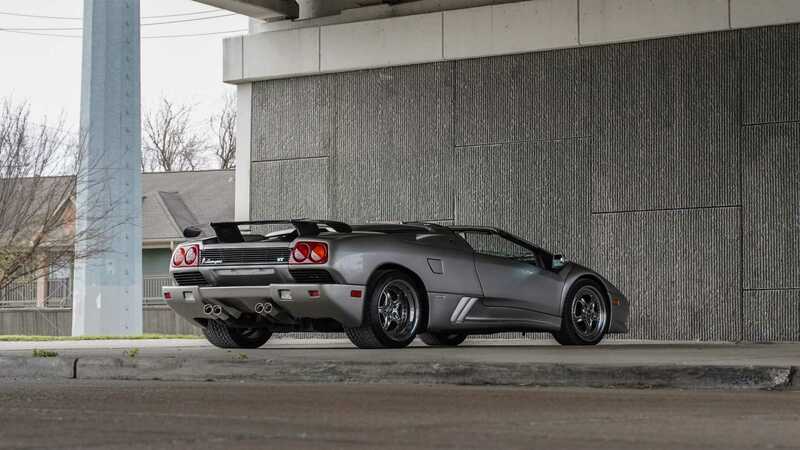 This Lamborghini Diablo VT Millennium Roadster is up for auction on Bring A Trailer. 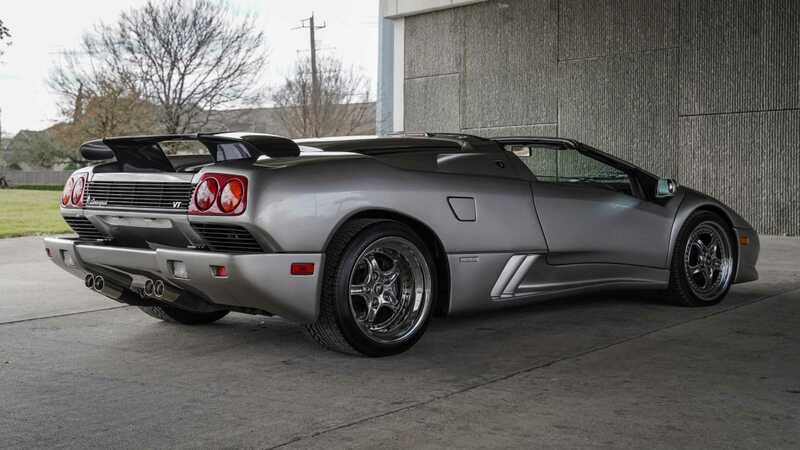 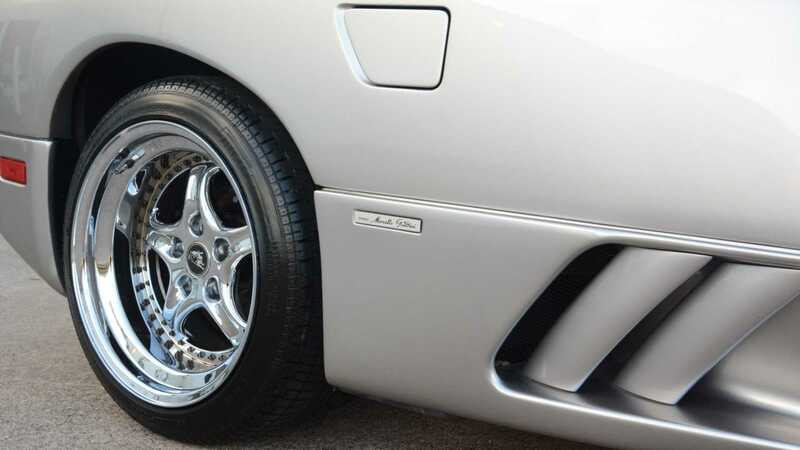 With just 8500 miles logged since 1999, this Diablo VT Millennium Roadster is a low-mileage rarity. 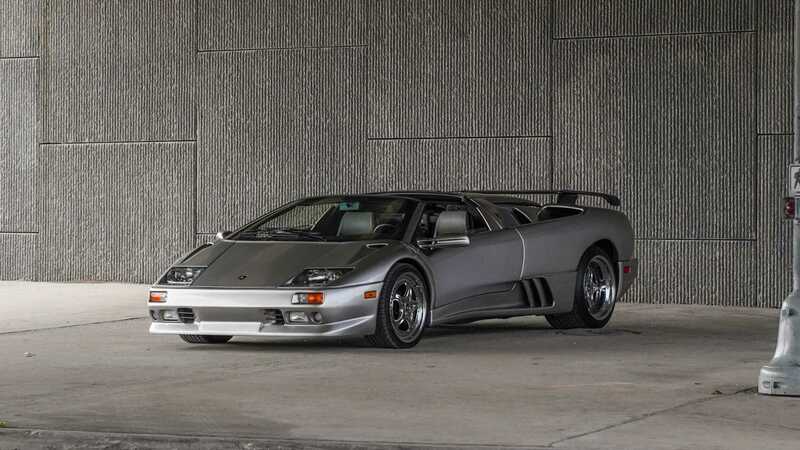 Only 30 were produced globally, ten of which were destined for American shores with all US models finished in this Titanium Metallic. 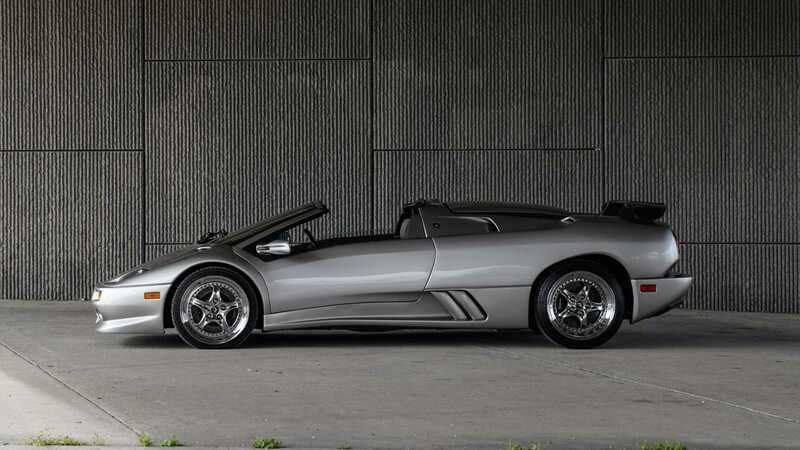 The Millennium Roadster was actually one of the very last convertible Diablos produced before the model’s replacement arrived. 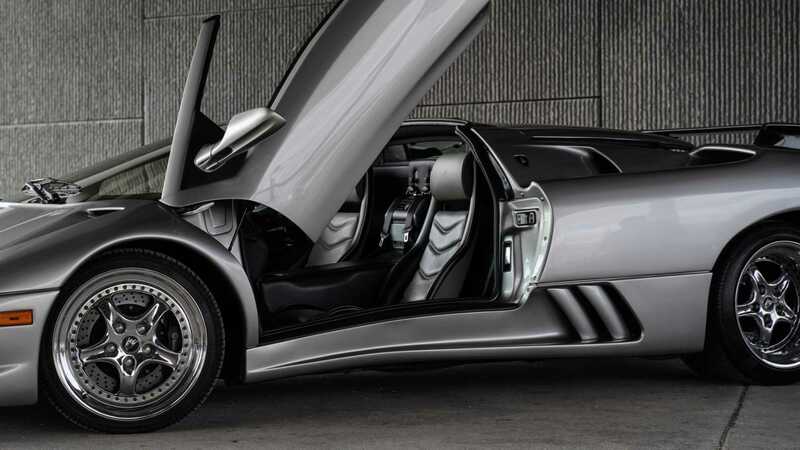 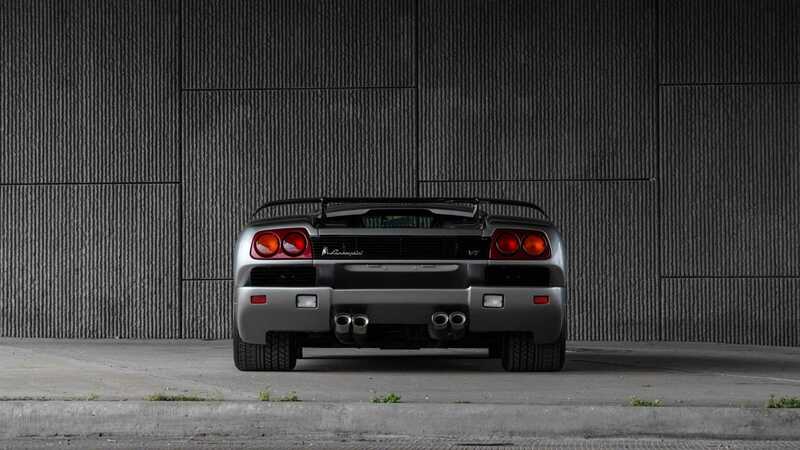 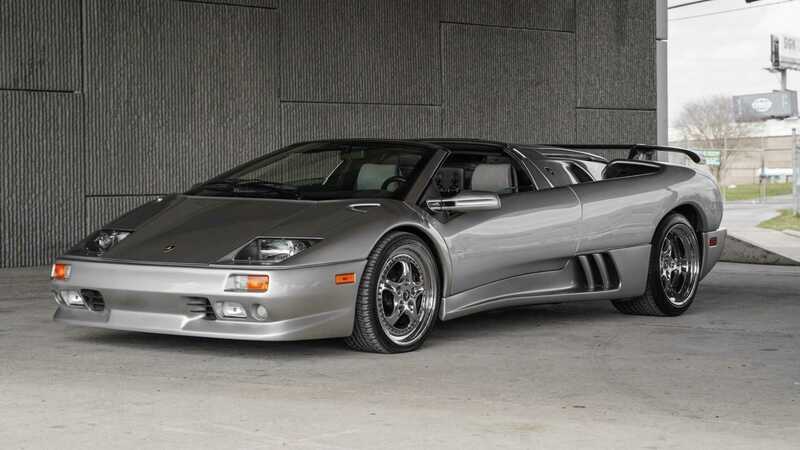 Things that separate this Diablo from lesser models include a unique leather interior, carbon fiber rear spoiler and a short ratio SV-spec rear differential. 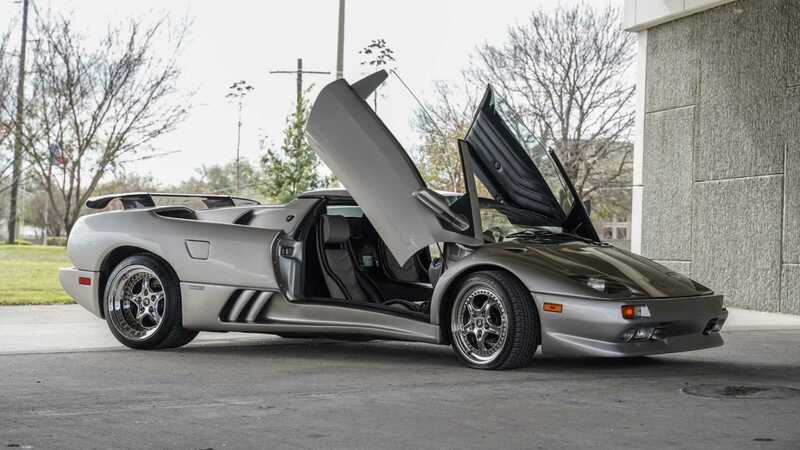 Its naturally aspirated 5.7-liter V12 engine, glorious five-speed manual transmission, and all-wheel drive remain untouched, but then who would complain about 529-horsepower and a claimed top speed of over 200mph? 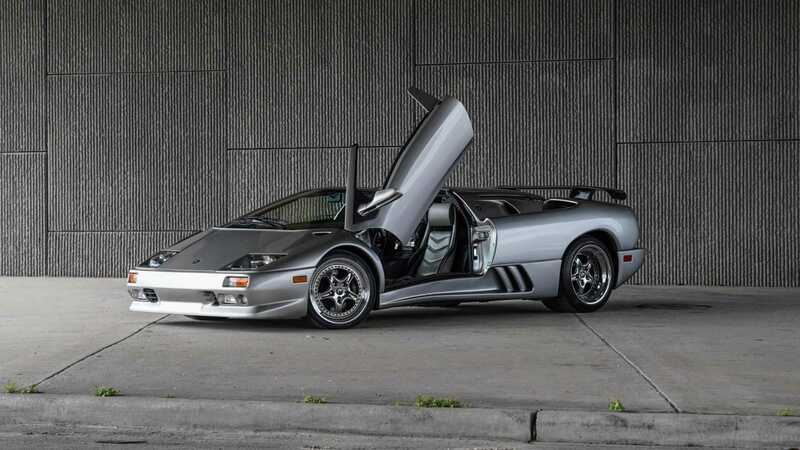 The Lamborghini Diablo was introduced in 1990 as a replacement to the legendary Countach. 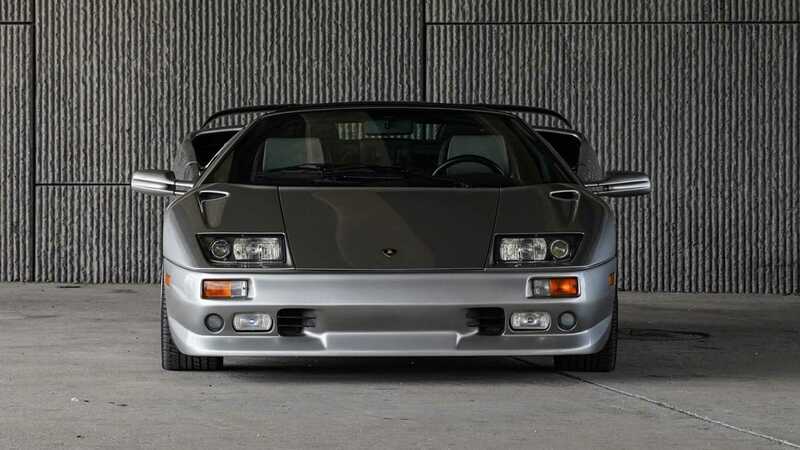 It continued the Lamborghini tradition of naming cars after fighting bulls with ‘Diablo’ being the ferocious bull raised by the Duke of Veragua. Interestingly, its original design came from the hand of Miura creator Marcello Gandini, but when Chrysler bought Lamborghini in '87, it demanded a US-led redesign. 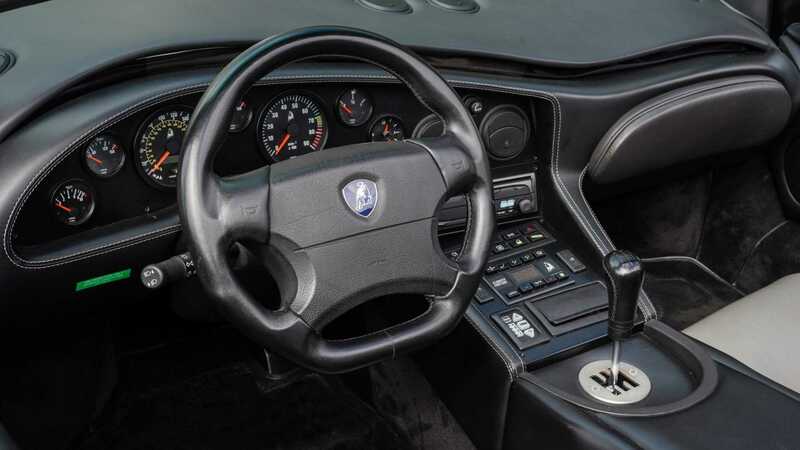 Gandini was so angry about the sudden rejection of his design that he released it as the Cizeta-Moroder V16T with the help of ex-Lamborghini employees. 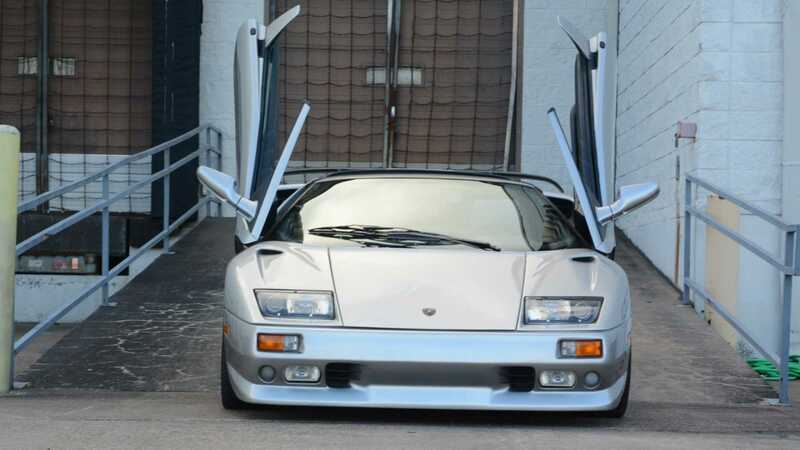 This specific car is number seven of ten that came to America and will certainly peak the interest of collectors. 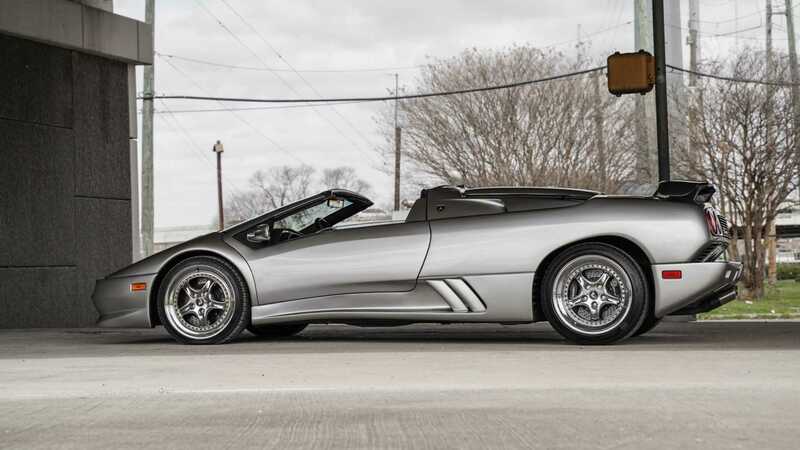 It comes with 12 years worth of service history, an original toolkit, owners manual, and a clean Texas title. 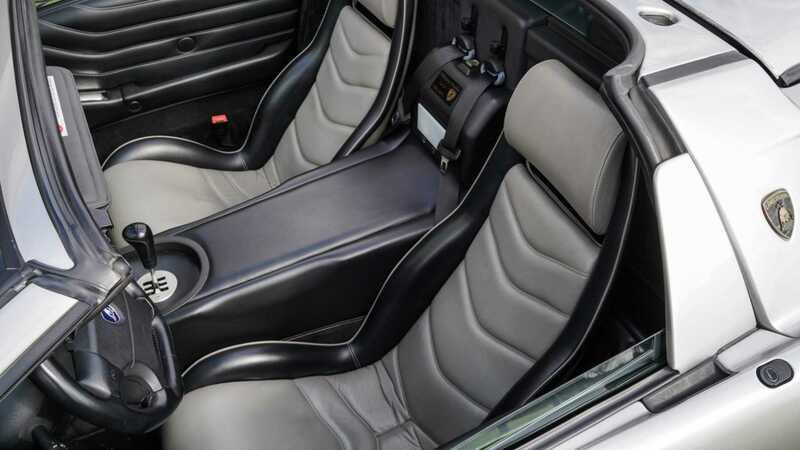 The car is in good working order, including its power hardtop, and is highly original. 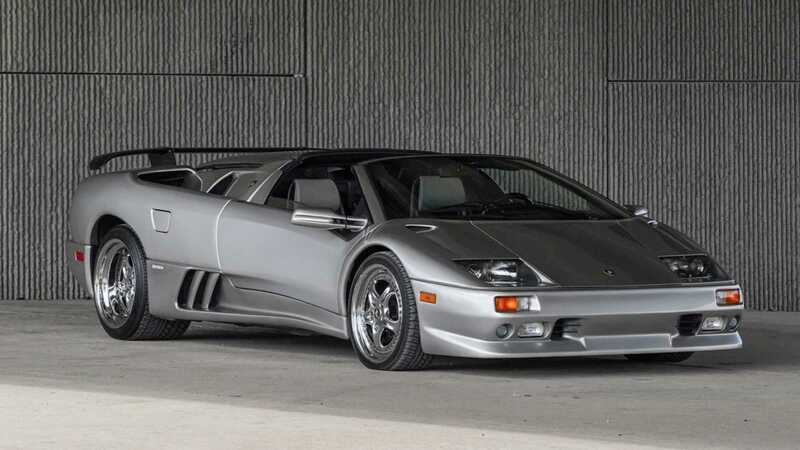 At the time of writing the leading auction bid is $180,000, with three days remaining on the sale. 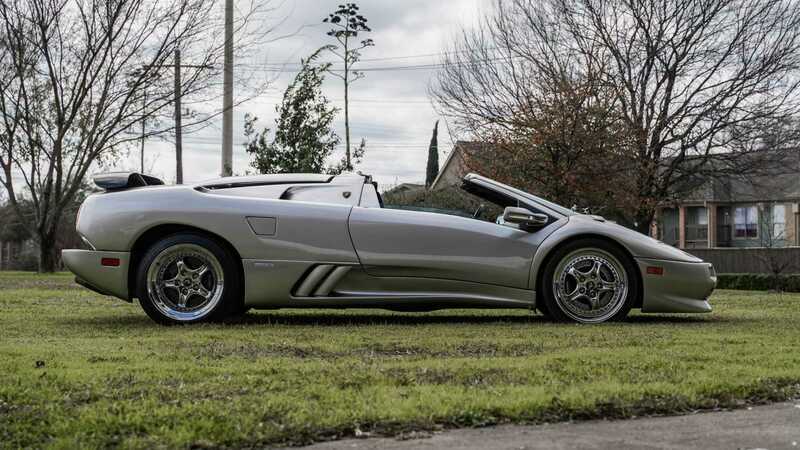 We’d expect the true bidding war for this old-school supercar to commence very soon.